I now own an Oculus Rift. The recent price drop was the tipping point. I’ve been wanting a VR headset for a while now but found them prohibitively expensive. Especially considering that my current PC specs just barely eked by the requirements for such a setup. It was a lot of money for something that might not work well. Now at least it was a lot of money for something that might not work well but would leave enough cash left over to upgrade for it if necessary. As it turns out, my fears were unfounded. My five+ year old CPU and mid-range graphics card perform quite well in everything I’ve tried it with. Read on for my impressions on what I’ve tried so far! It’s no secret that I’m a fan of Star Trek, and have been for a long time. 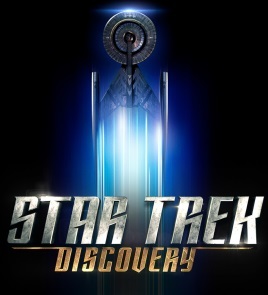 Naturally I was looking forward to the premiere of Star Trek: Discovery, but with trepidation moreso than excitement. The most recent entries in the Star Trek franchise have been middling to outright bad, and the most recent series prior had a rough start. On top of the shaky ground on which it was building the franchise the trailer just… didn’t look that much like Star Trek to me. I think I might’ve actually been more interested had the Star Trek name not been attached, because they looked like perfectly good sci-fi action/drama, but were lacking in the personality and optimism that made Star Trek what it is. This post might seem to come a little out of left field, but I’m going to talk about a book. Specifically, Dragon’s Egg, by Robert L. Forward. 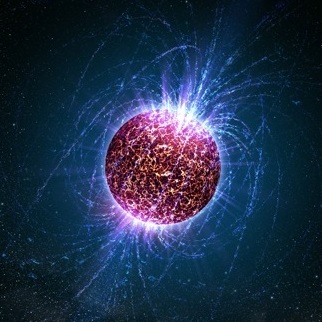 The premise, in barest terms, is that in the near future a neutron star is discovered close enough to the solar system to send a expedition, and upon the surface of this star the research team discovers life. The story of the book is more the story of the rise of a civilization on the surface of the star than it is about any individual characters. It’s almost more of a physics & sociology thought experiment than a story. Naturally, being a near-future science fiction novel written in 1980 there is going to be an eclectic mix of whimsical future technology and bizarre anachronisms, peppered with guesses about how things were going to develop that turned out to be just plain incorrect, but that’s all part of the charm. Just accept that people don’t own computers in the year 2020, we rent out CPU time on central mainframes instead, it’s fine. I’ll try to avoid spoilers, just in case anyone who reads this decides to take a look. Well. That took a while. I was randomly reminded of my aborted attempt to blog about my gaming recently, and thought I would take another stab at this. Third time’s the charm, perhaps? I’ll be trying to structure things a little better this time around with an actual schedule. Three posts per week on Monday, Wednesday, and Friday, with this being the inaugural Friday post. Monday posts will be “report” posts, where I talk about what I’m currently playing or have recently finished. Wednesday will be “retrospective”, looking back at games I’ve played in the past, for good or ill. Finally Fridays will be “rambling”, just talking about whatever comes to mind, but likely still within the topic space of gaming. Currently on my plate are World of Warcraft, Elite Dangerous, XCOM 2: War of the Chosen, and Metroid: Samus Returns, so it’s very likely that I will talk about one or all of those on Monday. All four are either new, or are getting new content added soon, and I’m looking forward to it all. Oddly, they all involve aliens as well… yes, even World of Warcraft. Kind of. Catch you again soon, hopefully in less than four years!